The French newspaper reports that frustrated locals said neither Mée-sur-Seine’s mayor, Franck Vernin, nor the police responded to their complaints. 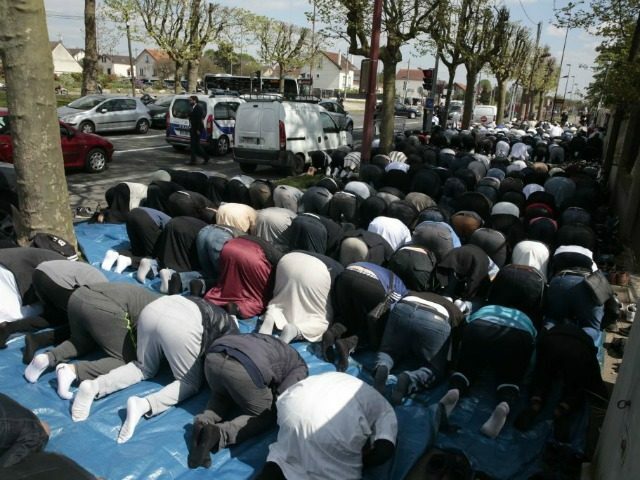 Contacted by Le Parisien, the Union of Democrats and Independents mayor said he is “well aware” of residents’ distress at the nocturnal noises emanating from the mosque, reporting that he contacted the local Muslim union to “ensure calm”, asserting that the Union of Méens Muslims (UMM) are “very responsive, whenever there is a problem”. UMM boss Mourad Salah said the mosque “tried to solve the problem by reducing the sound”, but explained the noise pollution will continue to be an issue until Muslims in the district have a sufficiently large place of worship. “The loudspeaker is not located on the outside of the building, but in the prayer room, and the doors are left open so that the faithful who are having to pray outside can hear. “For more than five years we have been doing this for want of a more suitable place to pray,” he said, explaining that the mosque held more than 300 people during Ramadan, with as many faithful praying outside on the street on some nights this year. “On the night of June 21 to 22, we were collecting alms to build a mosque which properly serves our needs, and there were 150 people out there.